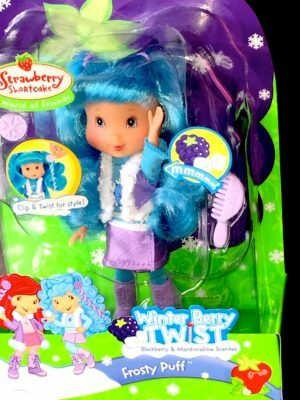 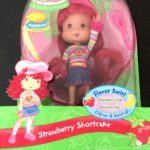 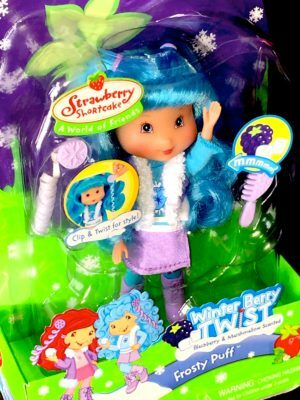 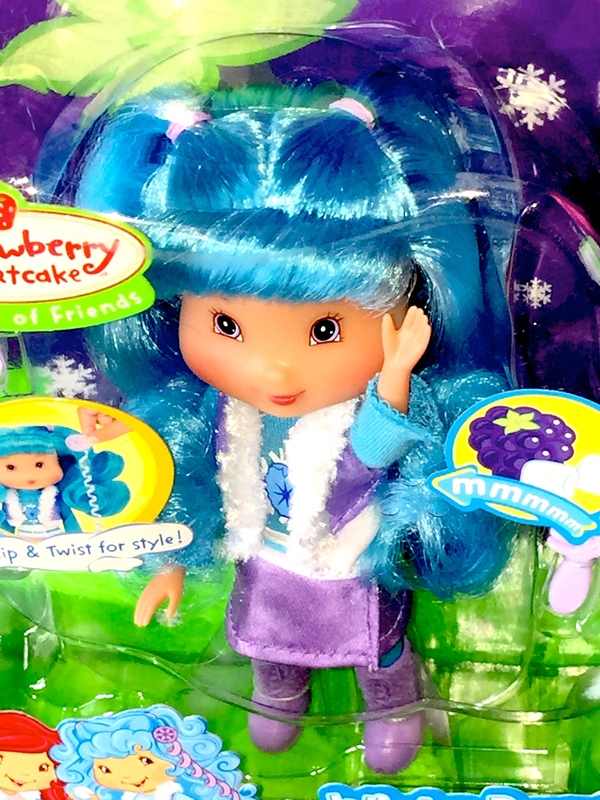 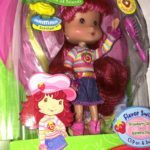 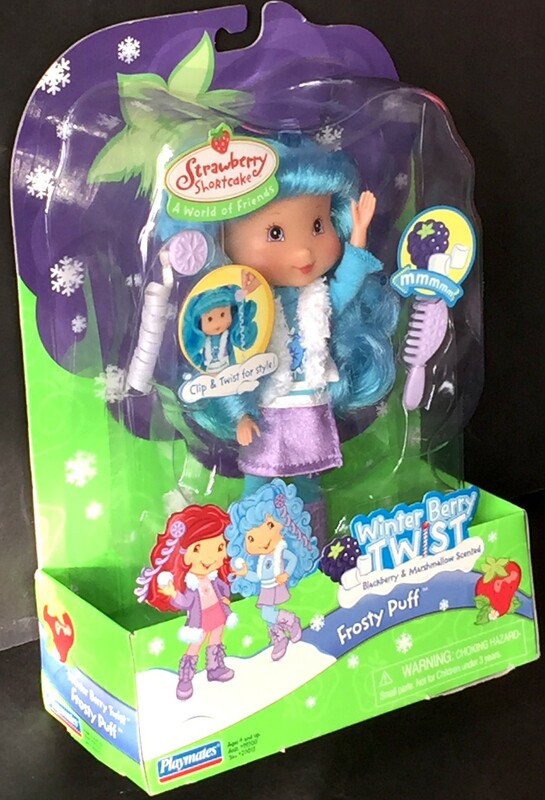 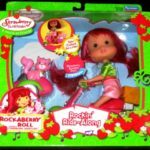 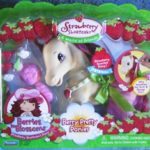 Strawberry Shortcake Frosty Puff Winter Berry Twist doll with blackberry and marshmallow scent plus accessories. 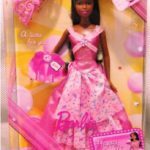 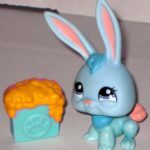 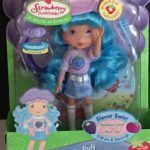 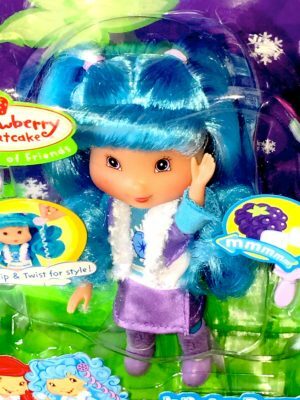 This Winter Berry Twist Frosty Puff doll from Playmates comes dressed in a soft lavender, blue, and white outfit that includes a purple and white vest. 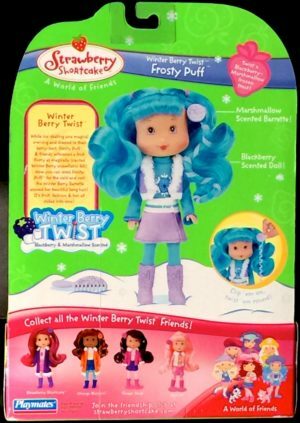 The vest has fluffy white trim in the front. 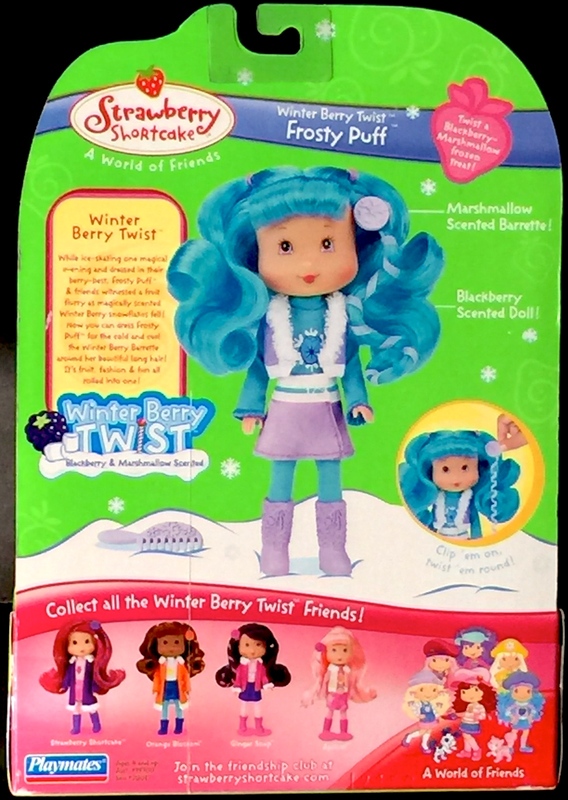 The bodice has a large berry logo atop a snowflake. 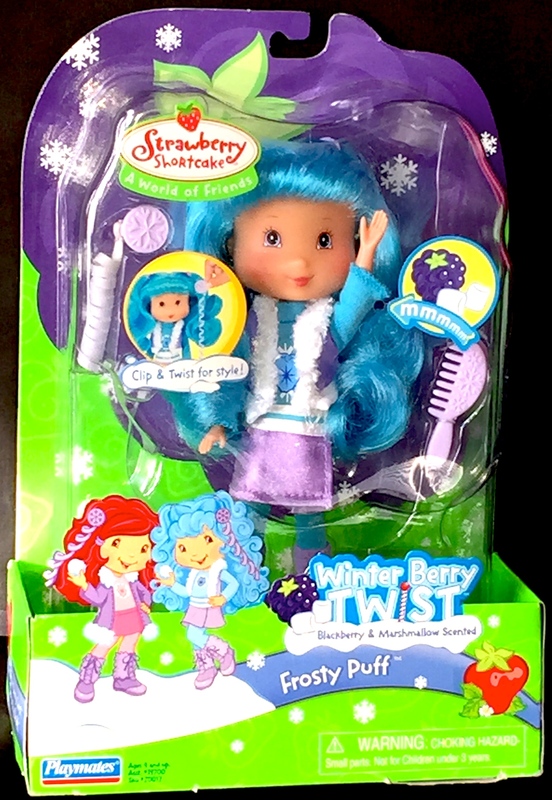 Frosty Puff wears white stockings and purple boots. Also in the box is a silver dangling hair twist that clips onto her beautiful blue locks. 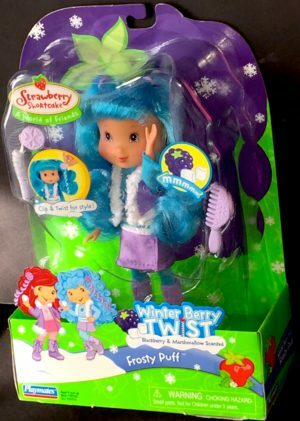 A purple comb is included as well to keep her hair looking smooth and silky. 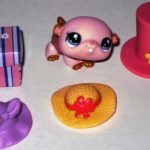 This Frosty Puff doll is from the American Greetings Strawberry Shortcake A World of Friends collection and is one of five dolls in this vintage year 2007 set.